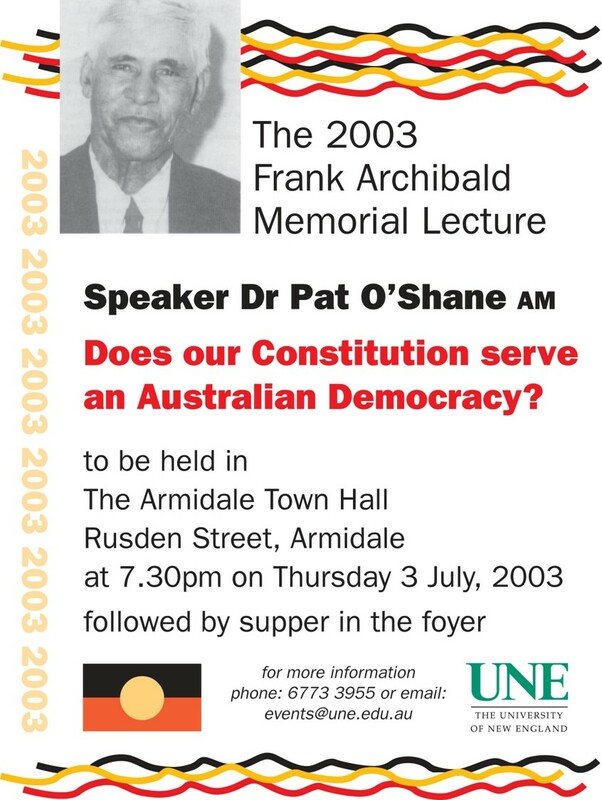 The Frank Archibald Memorial Lecture is an annual event held in honour of Mr Frank Archibald, a revered Aboriginal community member of the Armidale area. Frank Archibald was renowned for his knowledge and interest in all issues affecting Aboriginal and Torres Strait Islander people, particularly education. 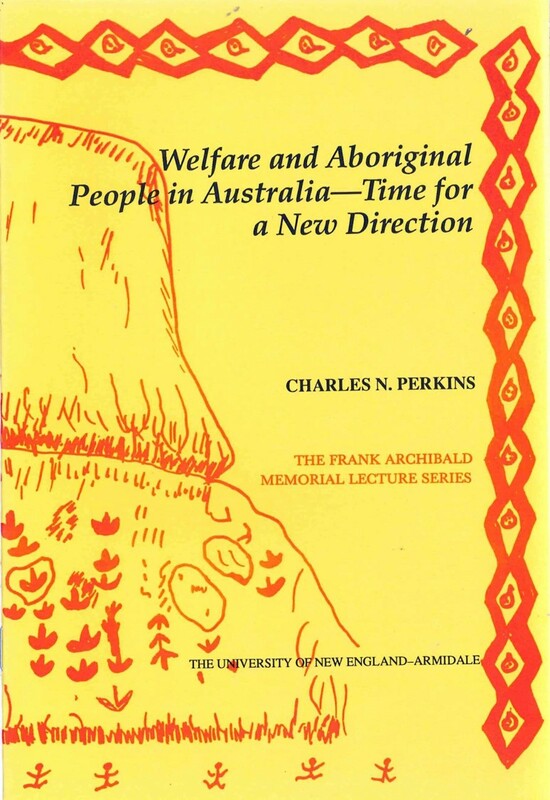 The Frank Archibald Memorial Lecture has been held as part of the University of New England’s Lecture Series since 1986 and is dedicated to Frank Archibald, his family and Aboriginal people of the New England region. 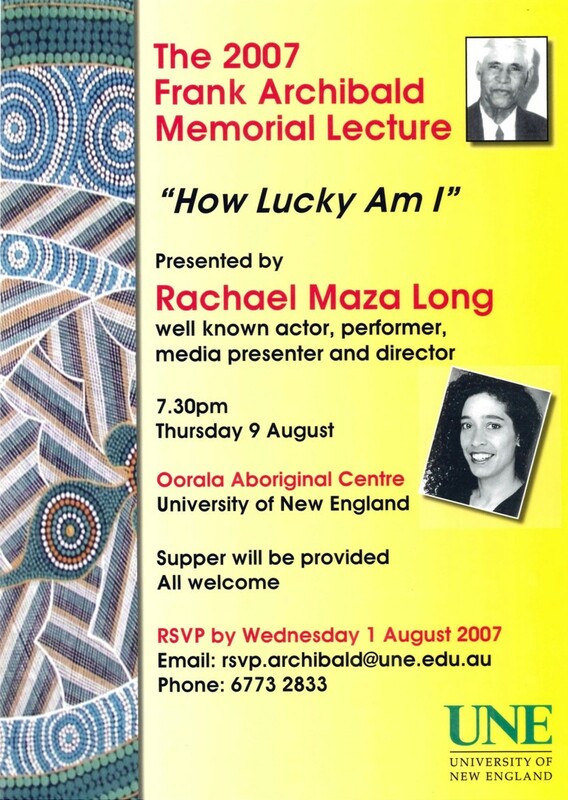 The Lecture is presented by Aboriginal and Torres Strait Islander speakers who are leading professionals in fields such as education, law, social justice, government and the arts. When the University established the Lecture, its intention was to invite speakers to give public address on current issues which are important to Aboriginal and Torres Strait Islander people, with an emphasis on education. 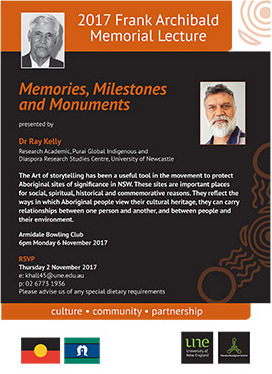 Over the many years, speakers have included Jackie Huggins, Dr Pat O’Shane, Mick Dodson, Noel Pearson, the late Charles Perkins, Senator Aden Ridgeway and Rachael Maza Long. 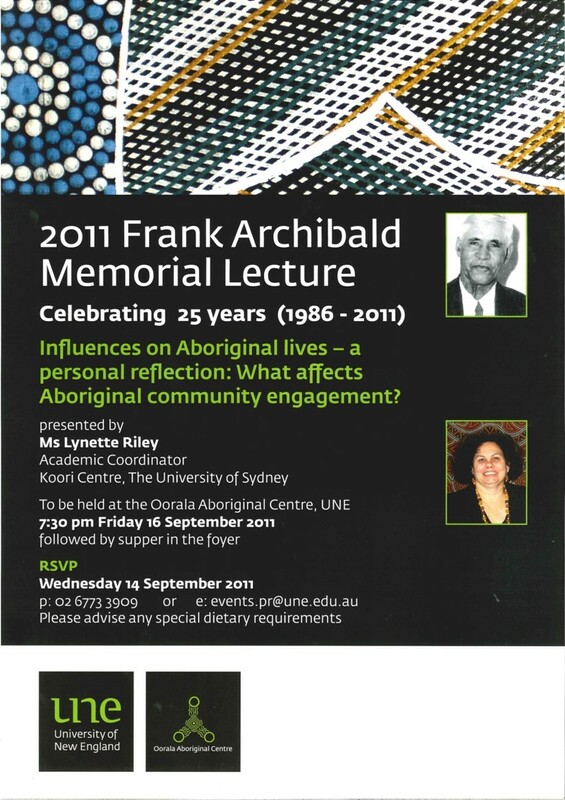 In 2011 the 25th anniversary of the Frank Archibald Memorial Lecture was commemorated through a presentation by the founding Director of Oorala Aboriginal Centre, Ms Lynette Riley, who had established this lecture series at the University in 1986.